A round-up of good eats and dining news from Singapore in December 2018. Some highlights this month: exciting new eats on Keong Saik Road in the form of Andrew Walsh’s new plant-based menus at Cure, Meta Group’s new modern South-east Asian restaurant Thevar and new fine-dining entrant Preludio. In other news, slated to open by the end of the year are Richard van Oostenbrugge and Alvin Leung's new Singapore outposts, table65 and 15 Stamford respectively. 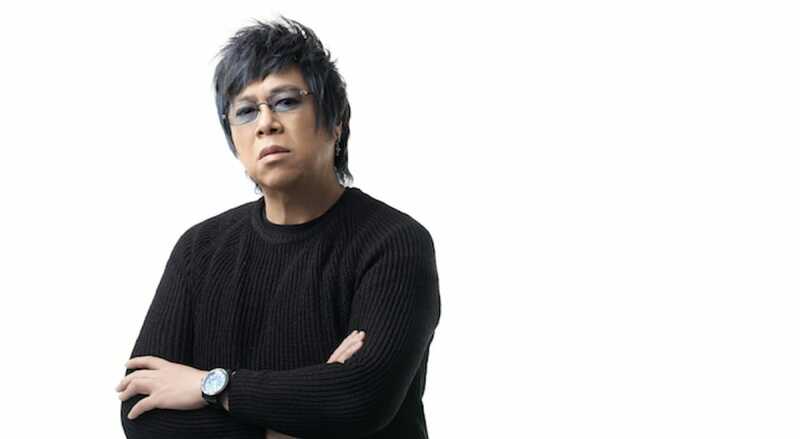 The maverick chef, best known for his three-Michelin-starred restaurant Bo Innovation in Hong Kong, is launching 15 Stamford by Alvin Leung at The Capitol Kempinski Hotel Singapore. When it opens at the end of December, the new casual-modern restaurant, which will open for lunch and dinner, will present an elegant and playful array of Leung's favourite recipes in Asia. From the plates to the flavours, diners are in for a gastronomic ride – all at prices that promise not to break the bank. 15 Stamford Road, The Capitol Kempinski Hotel Singapore. 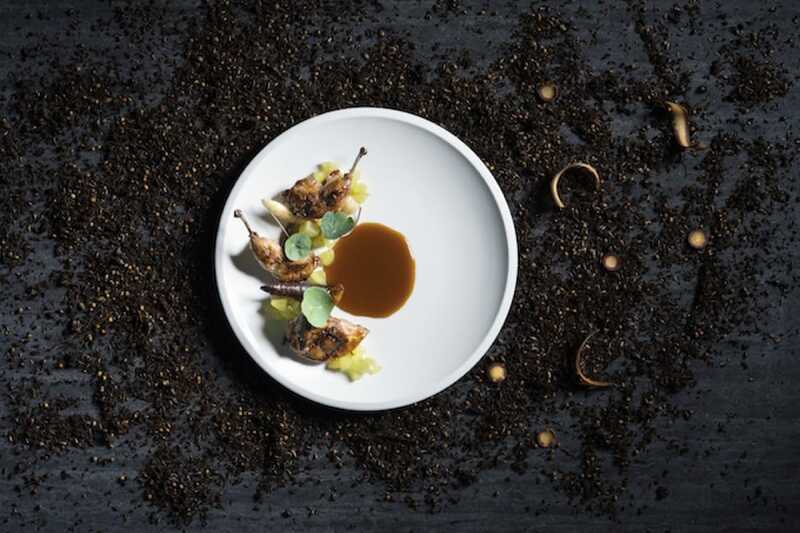 Slated to open on 28 December is table65, the first overseas outpost by Dutch chef Richard van Oostenbrugge of one-Michelin-starred Bord’Eau Restaurant Gastronomique in Amsterdam. The restaurant will occupy the space where Joël Robuchon Restaurant used to be at Resorts World Sentosa and will take inspiration from the dining concept of his newest restaurant 212, which champions a cutting-edge fine-casual concept. Like 212, table65 will feature one long chef’s table from which guests can take in the spectacle of levitating creations and visual projections as chefs dish out van Oostenbrugge’s signatures like Os a Moelle veal tartare with smoked herring, bone marrow and cockles, and his widely Instagrammed Apple dessert encased in a delicate sugar glass bubble. 8 Sentosa Gateway, Level 1 Hotel Michael, Resorts World Sentosa. 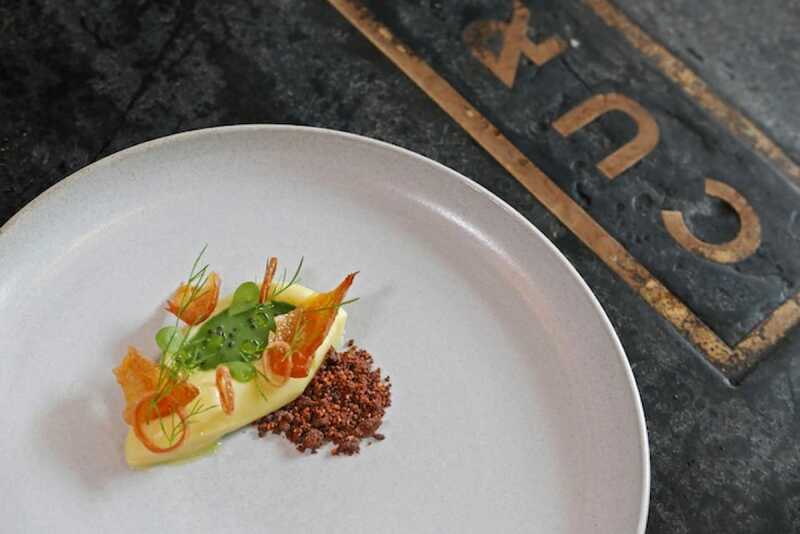 Moving into the space vacated by one-Michelin-starred Meta — which has relocated to larger premises two doors down in Keong Saik Road — is modern South-east Asian restaurant Thevar, also part of the Meta Group. At its helm is chef Manogren Murugan Thevar, who combines modern techniques gleaned from his time at establishments like Waku Ghin Singapore and PureC in the the Netherlands, with the robust flavours of his most recent stint at popular smokehouse Meat Smith and his Malaysian-Indian heritage. 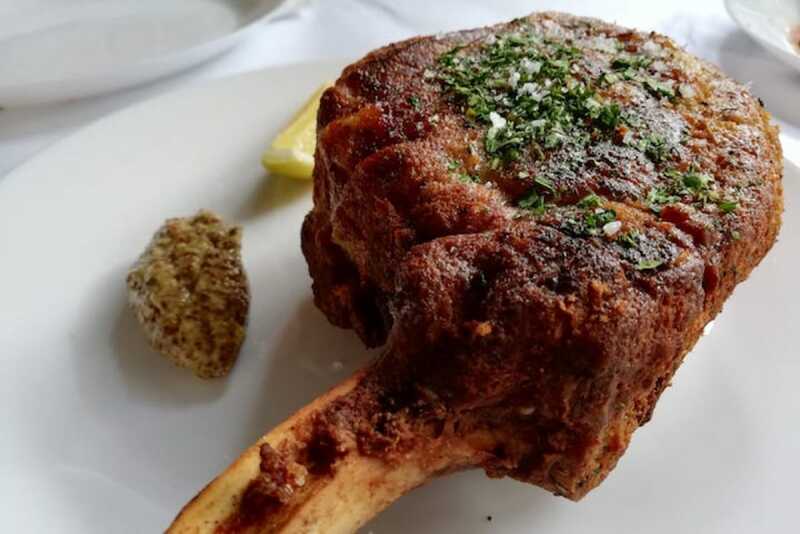 Moreish spiced potato chips and a starter of plump Canadian oysters dressed in a piquant rasam granita whet the appetite for heartier mains like medjool-glazed pork ribs and a butter mushroom with naan. 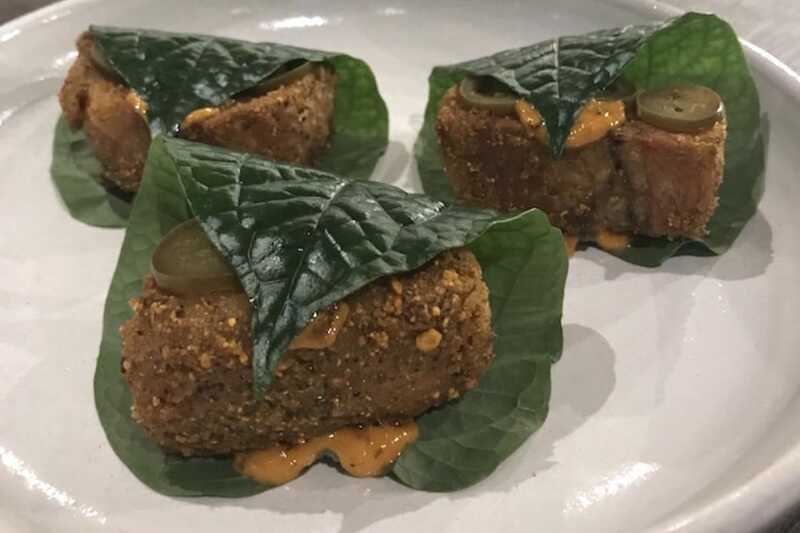 A must-order is the Pork Cheek ($14 for two pieces) featuring slow-cooked pork jowl deep-fried with sambar spices slathered with coconut sambal aioli and wrapped in betel leaf — each fragrant and crisp bite melts in the mouth in a medley of punchy flavours. 9 Keong Saik Road. 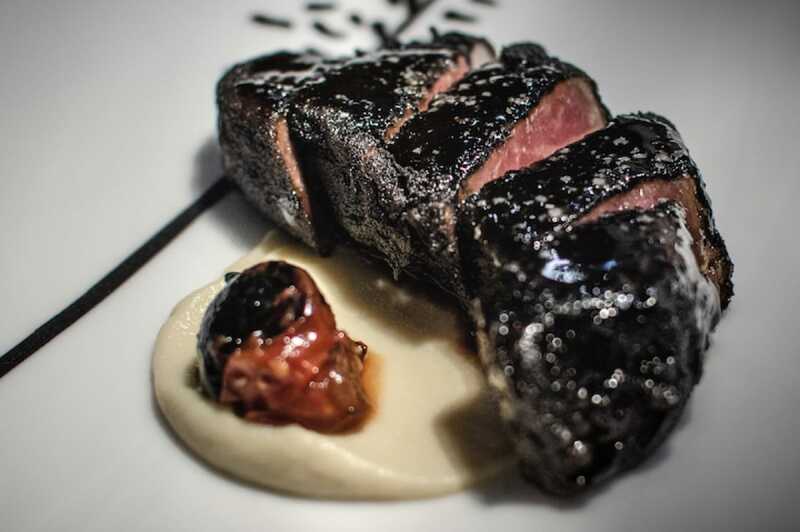 Colombian chef Fernando Arevalo, previously from Bistecca Tuscan Steakhouse and Artemis Grill, has opened up a fine-dining restaurant in the heart of the CBD with an intriguing concept. Every year or so will mark a chapter for Preludio, where the entire guest experience will change according to themes chosen by the chef. Monochrome is the theme of its debut chapter and the idea is carried across the stark and structural centrepieces, the black-and-white uniforms of the servers, a wine list creatively sorted by the colour of the soil the grapes are grown on and the minimalist presentation of the food.The actual dining experience belies the sterile-sounding concept: The service is friendly and warm, and the menu full of delicious surprises and heartwarming stories of Arevalo’s authentic relationships with artisanal producers. 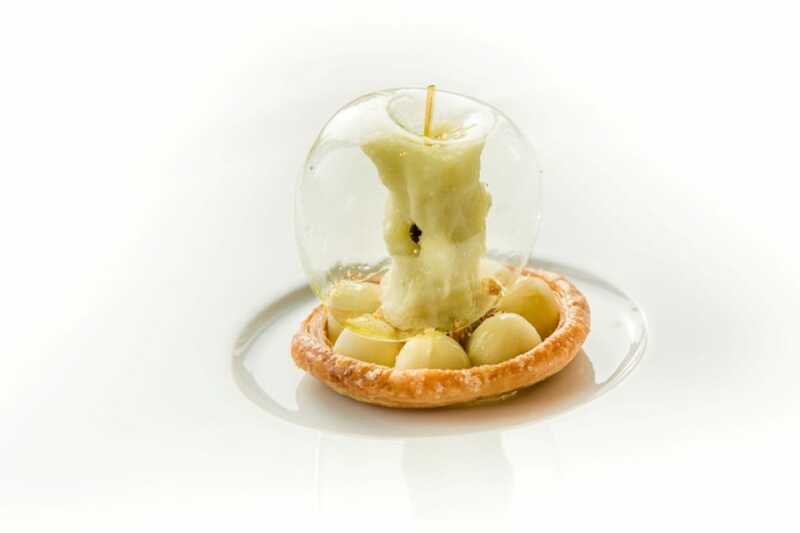 Somehow, Arevalo and pastry chef Elena Perez de Carrasco have found a way to make monochromatic food that burst with flavour and life. 182 Cecil Street, Frasers Tower #03-01/02. Vegetables hog the spotlight in Cure’s new plant-based menus by its Irish chef-owner, Andrew Walsh. Recognising the rise of vegetarianism and more diners seeking out meat-free days, Walsh has designed a five-course menu ($120) that showcases the diverse flavours and versatility of vegetables. The bright and sweet starter of Tart of Pumpkin & Persimmon comes with slices of persimmon, shiso flower, yuzu ponzu gel and pumpkin seeds ornately arranged on a creamy bed of custard and pumpkin puree. The delicate sweetness is balanced off by a savoury burrata ice cream. It is served with a pesto made with eight spices such as sage and fennel. The Potato is a velvety smooth smoked Russet potato puree that is studded with potato skin crisps. The side of chocolate soil adds oomph to the mash, which is Walsh’s tribute to the Great Potato Famine in 19th-century Ireland. 21 Keong Saik Road. Opened in 2010 on the penthouse level of the Marina Bay Financial Centre, LeVeL33 has been popular for its spectacular view of the Singapore skyline, its modern European cuisine and the exceptional craft beers brewed in the onsite microbrewery. Previously from some of Australia’s hottest restaurants like Sydney’s Moon Park and two-hatted Cutler & Co in Melbourne, new executive chef ArChan Chan has revamped the menu to incorporate the elements of craft brewery — from the beer liquors to by-products such as protein-rich spent grain — in her plates. For example, house-brewed stout is used to marinate quail and make a sweet glaze, transforming the usually gamey flesh into tender, savoury morsels; plump Hokkaido scallops are served in their shells with dashi tinged with wheat beer; blond lager-cured kingfish sashimi (pictured in banner) is served with an umami, nutty “sand” of nori and spent grain. Chan’s new dishes articulate well the connection between the food and the brew at LeVeL33. 8 Marina Blvd, #33-01 Marina Bay Financial Centre.